In fact, both the Congress and the BJP issued whips, asking their MPs to be present in the Lok Sabha. New Delhi: Congress MP KC Venugopal on Monday gave the notice to move a Privilege Motion against the Defence Minister for misleading the House on contracts given to Hindustan Aeronautics Limited (HAL). Reports had suggested that it was likely to be a stormy affair in the Lok Sabha today after Congress chief Rahul Gandhi and Defence Minister Nirmala Sitharaman got into a battle on Twitter over the same. She also tweeted details of the contract awarded to HAL since 2014 when BJP came to power. Meanwhile, Prime Minister Narendra Modi has said Sitharaman and Finance Minister Arun Jaitley had given a “detailed response” to the “lies” on the Rafale deal in Parliament and had placed facts before the people. Speaking to BJP workers from Anantapuramu, Kadapa, Kurnool, Narsaraopet and Tirupati Lok Sabha constituencies via video-conference on Sunday, he said, “Nirmala Sitharaman and Arun Jaitley had placed all facts related to the country’s security in Parliament. They replied to each and every word of lies with facts and figures. 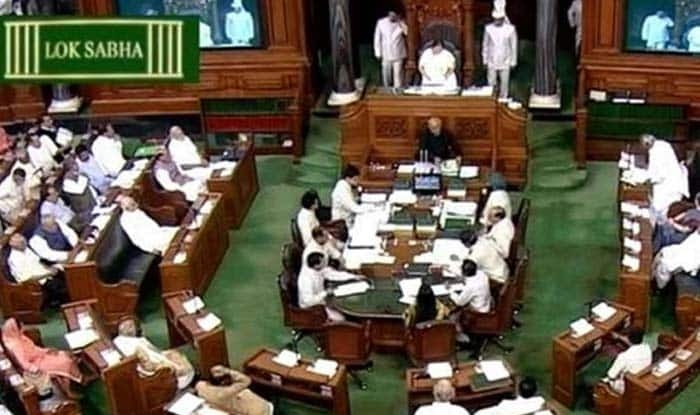 After many years, Parliament witnessed such a detailed response of the government,” referring to last week’s debate on Rafale fighter aircraft deal in Lok Sabha.